Cool Stuph | Amazing. Stuff. Stuph. Cool Stuph Amazing. Stuff. Stuph. Hey guys! I recently created a more personalized website, and all of my content will be uploaded to that site. You can check it out here. The War on Drugs, made official by President Nixon in 1971, has continued on to this day. But, at what cost to American liberty? And, should we as Christians support this war? Thomas Aquinas, one of the greatest of the Scholastics, strove to reconcile faith and reason. His 8,500,000 words in defense or in review of the Christian faith or of the Scriptures speak on to this day. 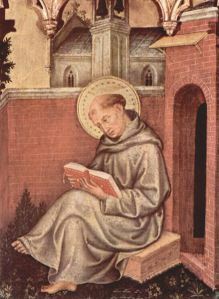 Thomas Aquinas, great theologian and Scholastic philosopher, took up the sword of reason and wielded it in defense of the Christian faith. His goal was to prove that faith can be supported by reason, and that they’re in harmony with one another. A few of his arguments in defense of there being an all powerful, all good, all wise God, Lord over all, go as follows. Video Games Might HELP YOUR BRAIN! Here is a cool video I found on the Ron Paul Forum. It says that video games actually HELP YOU focus, although it also says too much of anything is not good. Unusual Ally – A Skeleton! Yo bro. Lets do this. Another picture made using Mine-imator. Another picture created with Mine-imator. "Hello there!" Hi! My name is Stephen, though I'm popularly known as Milkyway. I'm a big fan of Star Wars and Lord of the Rings, play Tanki Online pretty frequently, Minecraft when I can play multiplayer, and post on my blog, which, you happen to be on now. I also like watching and learning Parkour! May the Force be with you... always!